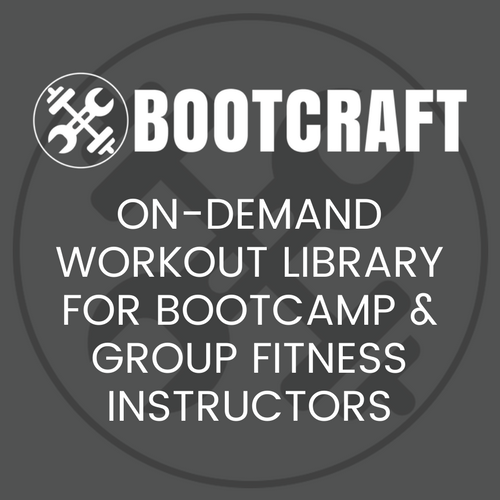 This workout is an entry in our annual Bootcamp Ideas competition from Tina Upton. Equipment needed: Dumbbells, kettlebells or barbell, Tire of challenging weight, Wall or building for wall walks. If you have a large group you can break them up in groups or teams at separate circuits. AMRAP #1 they will complete each movement (scale to ability) as many times as possible in the 10 minutes. One scaling option is to give them a specific amount of rounds and if they finish before 10 minutes they have a longer recovery. AMRAP # 2 they will do 10 of each movement then 9 of each movement then 8 of each movement and so on. This one can be scaled to ability as well in the same way as AMRAP #1. AMRAP # 3 they will complete the number of reps required and continue for 10 minutes or scale to specific amount of rounds. Scaling option for wall walk if no wall available is feet up on box and hands on ground in plank position walk into pike position and walk back to plank position and repeat. We did Uptown Funk Abs workout (named –Upton Funk you up) because my last name is Upton. Just do a variety of planks and sit-up variations the entire song. I am a NASM Certified Personal Trainer, I have been training in bootcamp format for about 7 months I have an all ladies class and I run multiple classes. The name of my business is New Beginnings Fitcamp and I am in Nampa, Idaho. I have a passion to see women get fit especially those women over 40 who think it’s too late to start moving. I started my fitness journey at 42 years old and lost 65 lbs and still going. Out of my transformation this passion to help other women was birthed. I am far beyond blessed to be doing what I love with people I love.